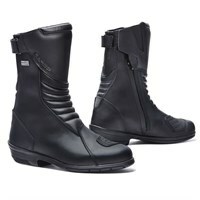 You have to wear an EC approved helmet to ride a motorcycle, but you can wear whatever footwear you want; anything from a sturdy climbing boot to a Gucci loafer. 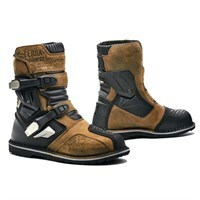 But the legs and feet are very vulnerable on a motorcycle. 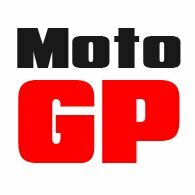 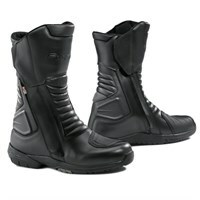 Most motorcycle boots are made from leather, although synthetic materials like Lorica can be cheaper and more waterproof. 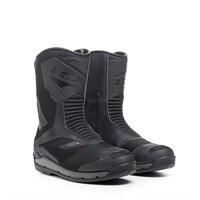 Off-road boots will often be made from hard plastic for greater rigidity. 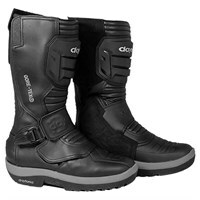 The main choice a motorcyclist will have to make is whether to ride in a tall boot or a short one. 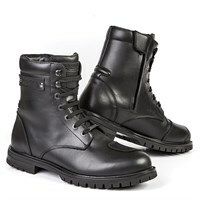 A tall boot offers better protection particularly around the shins. 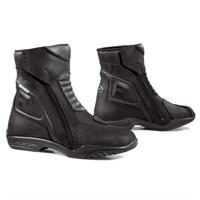 All racing boots are tall, and these boots will often have all kinds of bells and whistles that make them suited to high speed track riding. 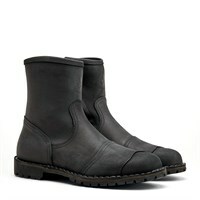 Short boots are more comfortable to wear, and can disguise the fact that the wearer rides a bike. 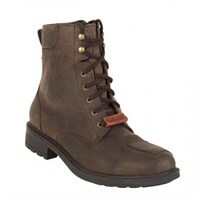 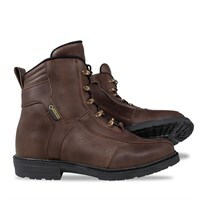 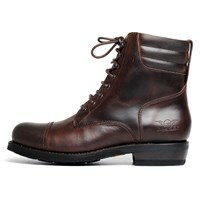 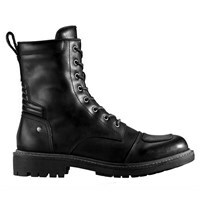 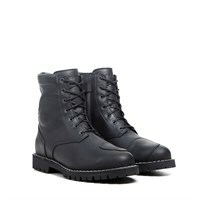 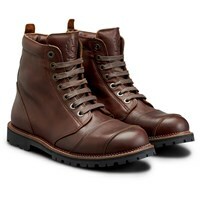 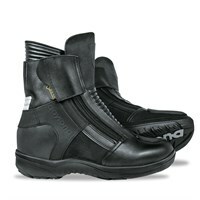 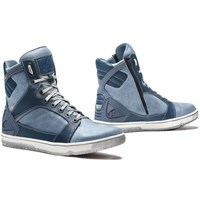 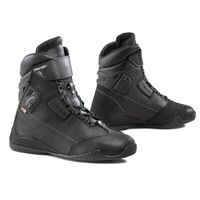 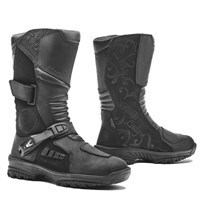 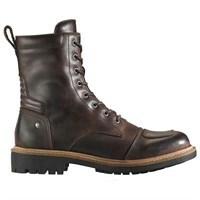 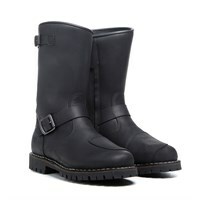 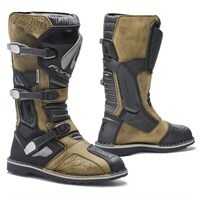 This casual boot is very popular amongst urban riders. 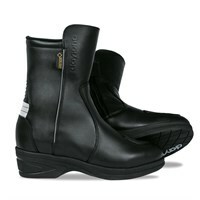 Here in the UK, we would always recommend buying a boot with a waterproof liner. 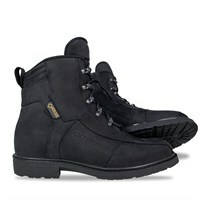 For obvious reasons!